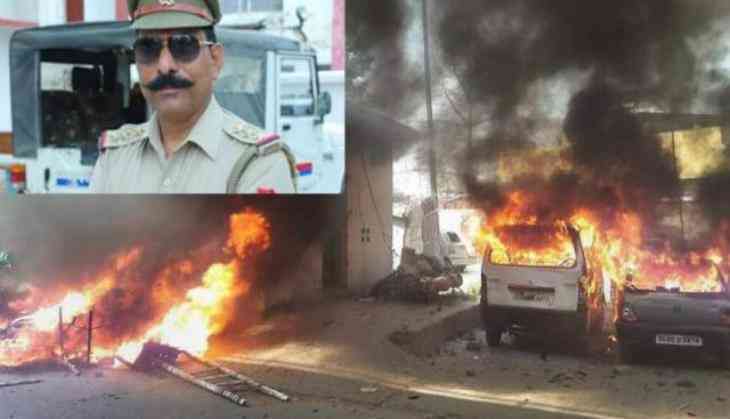 After the murder of Station House Officer Subodh Kumar Singh in a mob violence last year in Bulandshahr, a Special Investigation Team of UP Police has charge sheeted 38 people out of which 5 have been booked for murder. The court will be taking the note of the chargesheet on Monday and if it accepts the charge sheet, it will start the trial immediately. In the charge sheet, the SIT has named 38 people whuch includes 5 of them for killing Inspector Subodh Kumar Singh and it includes Prashant Natt, a man arrested after some days of the incident by the police. The police in it’s chargesheet has claimed that these 5 people have surrounded Subodh during the mob violence and one of them shot at him. One of the key accuse in the case Yogesh Raj, a member of Bajrang Dal, has been booked for inciting riots and arson, as said by Police. Last year on December 3, violence broke out in Uttar Pradesh’s Bulandshahr over the issue of cow slaughter. It was Inspector Subodh Kumar Singh who chased down the crowd and had cornered them in a field but was shot dead by the mob, which was approximately 400 in number. A youth was also killed during the incident. Bigg Boss Nau: Is Kishwer Merchant the Deepshikha Nagpal of the season?